Book DescriptionWhat is the object of the game of Chess? What is chess notation? How does the King move and Capture? These and a host of other Chess questions are answered simply and clearly in this indepensible guide for beginning players. 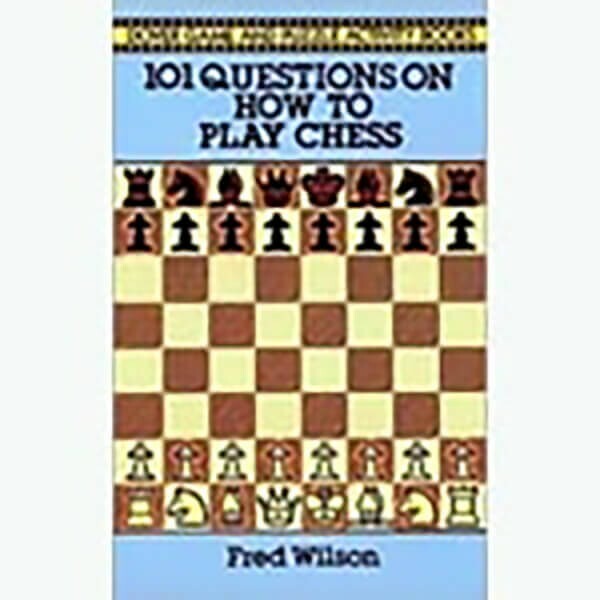 Chess expert Fred Wilson has distilled an enormous amount of information into an easy-to-follow question and answer format that not only explains the most basic rules and essentials of play, but also offers expert advice on openings, combinations, middle- and endgame strategies, notation, castling and other topics. Over 100 carefully chosen diagrams and illustrations demonstrate moves, positions and strategy. Wih this inexpensive manual, would-be players can quickly and easily familiarize themselves with the fundamentals and begin enjoying the challenge and stimulation of the world's most fascinating game.